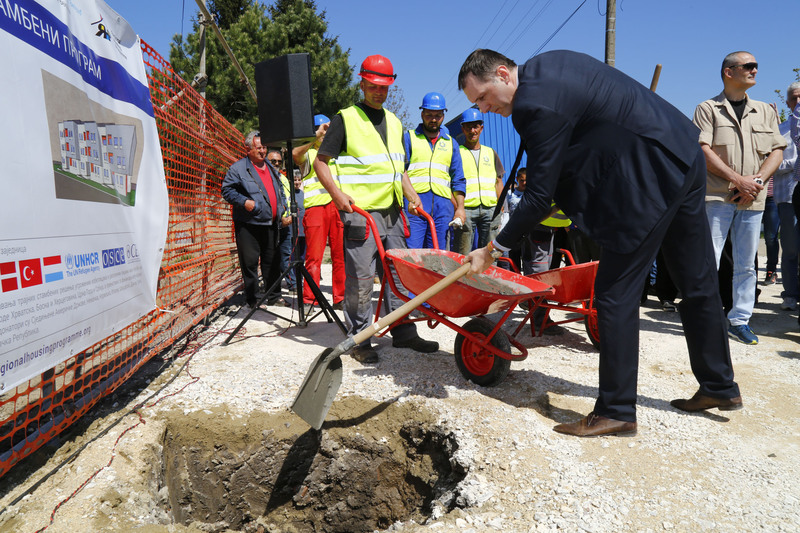 On 21 April 2018, the Serbian Commissariat for Refugees and Migration hosted an event to lay the foundation stone for the construction of 25 apartments for refugees from Bosnia and Herzegovina and Croatia, who are resident in the territory of Kikinda. This project is part of the sub-project SRB2, which aims at providing housing solutions to 870 vulnerable RHP beneficiary families in Serbia. The entire sub-project is worth EUR 13 million. In addition to Kikinda, construction sites have been opened in in seven cities across Serbia: in Sremska Mitrovica, Bajina Bašta, Paracin, Krusevac, Prokuplje, Vrsac and Sabac. In addition to the construction of 200 apartments, SRB2 covers the construction of 120 prefabricated houses, the provision of 300 packages of building materials and the purchase of 250 village houses throughout the country.